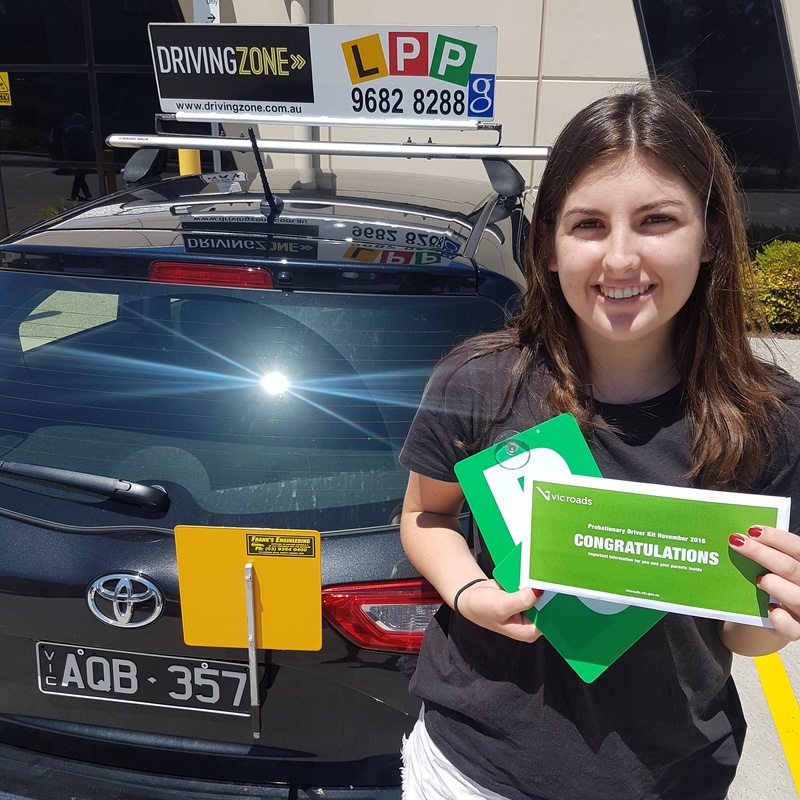 Driving Zone | BLITZED IT ALEXANDRA! BLITZED IT! Congratulations Alexandra on a wonderful drive today in Heatherton. Your dedication and your 100% commitment has made you become a real confident driver with great road knowledge. I had a wonderful time training you and getting to know you. I wish you all the best with everything in the future and thank you for choosing Driving Zone!